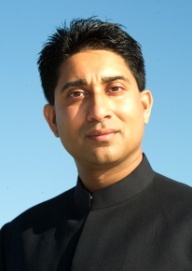 Holistic Bio Spa is delighted to present Taron Puri, a Life Strategy Coach trainer, and speaker expert in Energy Management. We are all ears Taron. There is an energy crisis in our world today. But unlike the one we hear about daily on the news, this one is more personal; to wit, our life force energy. Ongoing stresses which deplete our energy levels leave us feeling personally devitalized and struggling to take care of everyday needs; and professionally, declining levels of productivity, performance, as well as morale and job satisfaction are all resulting in burnout and increasing short-term disability leaves. Left untreated, the bottom line is that our lives become a struggle as we attempt to cope with getting through the day in one piece! Certainly, the losses we incur as to our quality of life, as well as those within the business world, can directly affect our passion, purpose and ultimately, our ability to stand in our power and enjoy life fully! Stress, like the waves upon an ocean, comes and goes of its own accord. It arises when we experience conflict and can occur at the physical, mental, emotional and spiritual levels of our being. There are stresses over which we have no control and those over which we do! Knowing the difference between the two is critical to our well-being if we want to minimize ‘negative’ stress which results when we try to control the impossible, worry about the inevitable, and constantly argue with ‘that which is.’ Ultimately, we can get caught up in what I term the ‘could’ve, should’ve’ syndrome which further weighs us down! If you relate to any of this, then you too can relate to so many others who end up experiencing increasing frustration, anger, fatigue, burn out, overwhelm and apathy – to name a few consequences of trying to manage your stress versus managing your energy! The challenge in all of this is that although most of us are doing our best to deal with stress – often by even taking stress, time, relationship or money management courses – we are still dealing with external symptoms rather than core energies in the form of harmful behavior and thought patterns! This is where going to the ‘source,’ and learning how to work effectively with our own energies which form these patterns, can result in effective and permanent positive changes in how we experience life! Energy Management teaches us how to ‘neutralize,’ rather than ‘manage’ stress. Working from the inside-out, it addresses the dynamic behind your behaviors and choices. Through which you experience conflict versus flow, and shows you how to strategically redirect your physical, mental, emotional and spiritual energies to create better flow, harmony, peace and fulfillment in your life. Since it draws upon the silent power and potential which already exists within each of us, it is a natural, non-invasive, simple and yet very powerful approach for creating positive change. Energy Management uses specific awareness enhancing meditation and visualization tools and techniques to help you effectively identify, shift and ultimately negate the harmful effects of daily stress. It shows you how to unblock your energy and release physical and mental tension, as well as teaches you to know what foods are negatively impacting your mind and body. And it draws on the Science of Breath to show you how you can consciously direct your breath to bring about powerful healing results! So if you wish to turn chaos into calm, reclaim and restore balance, and ultimately have more vitality and well-being in your life, then go to the core by managing your energy, rather than your stress! Stay tuned for the Energy Management course in Puerto Vallarta in February 2017 to learn how to manage your energy.